Maiden Grass is a graceful specimen that can be used as a border, privacy screen, feature plant or in a mass planting. This tough ornamental grass brings texture to perennial borders, cottage and rock gardens. However, it’s also perfect for low-maintenance, water-wise plantings and modern designs. This variety has a narrow, clumping growth habit. The thin silvery-green foliage turns a nice golden brown after the first frost. The foliage can reach 6-8’ in height and 3-5’ in width. Tassel-like inflorescence emerge late summer that have a reddish hue and turn to a silvery white when mature or after first frost. The late-summer flowers float above the foliage and can be left on plants over winter or used in floral arrangements. This moderately fast grower benefits from being divided every couple of seasons and needs annual shearing in the early spring. 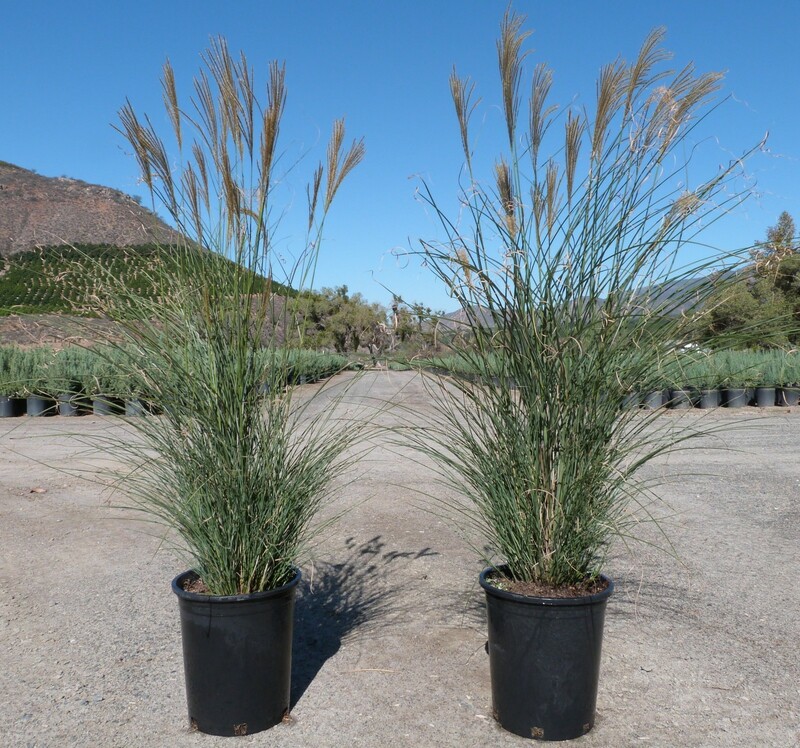 Maiden grass has low water requirements once established, but can tolerate moderate regular moisture. When grown in moist soils this grass can have more aggressive growth habit. Though it can tolerate moist soils, be sure to amend soils to improve drainage. Maiden grass performs best in a full sun location, but can tolerate part sun conditions as well. Maiden grass is not very susceptible to many pests or diseases and is a mostly carefree choice for any landscape.